Yet another article about In Rainbows and the effect of gamma rays on man-in-the-moon marigolds. Just kidding! 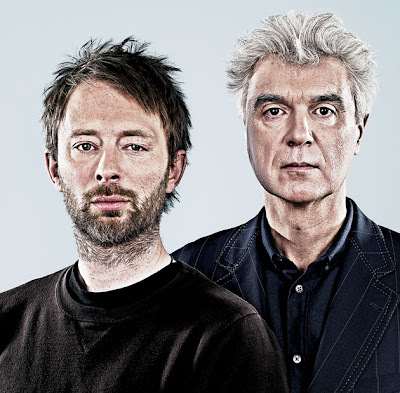 I recently stumbled across this great piece, a candid dialogue between David Byrne and Thom Yorke wherein they discuss music industry trends, eco-friendly touring, and -- of course -- No Logo. The article includes a dozen audio clips from a meeting between Yorke & Byrne (ostensibly the source for the article). Be sure to watch the in-studio performance of the excellent In Rainbows cuts "Jigsaw" and "Bodysnatchers", complete with a hilarious Yorke freakout from 3:10 to 3:23. How great does this sound? 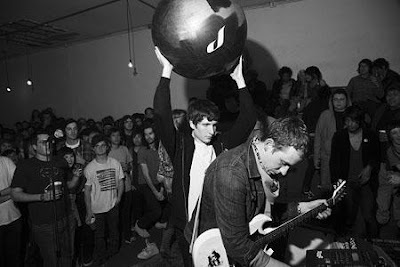 No Age are playing a free show this Sunday at L.A.'s Central Library. The show is to start at 2pm in the Mark Taper Auditorium with a performance by Mika Miko, followed by headliners No Age. All info here. This show is convenient to MTA access and will no doubt be packed, so get there early! That's what I get for not confirming domestic release dates before heading to Amoeba. I dropped by the Sunset Boulevard record store on Sunday to explore a slew of British acts, but came away with several alternative, domestic releases due to my blind assumption that everything is already at Amoeba. 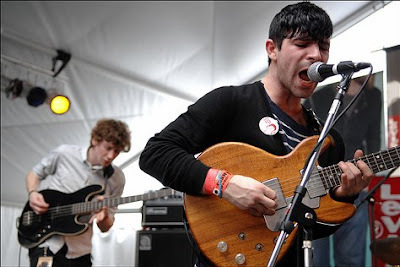 Anyway, Foals (shown live at SXSW, above) was one of these U.K. acts. 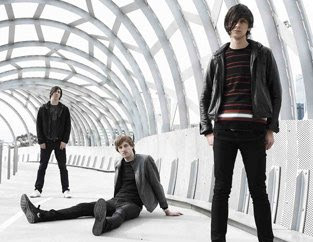 Turns out their debut LP Antidotes was released in the U.S. on Tuesday. Now, Pitchfork be damned. Antidotes is a tight, sleek record for fans of twinkling, stylish, post-post-punk music, all held together by clockwork tempos, metronome-tight grooves, and great vocal interplay. 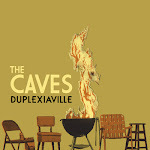 Some of the guitar work reminds me of Minus the Bear, but the key to this release is how exciting nearly every track is. 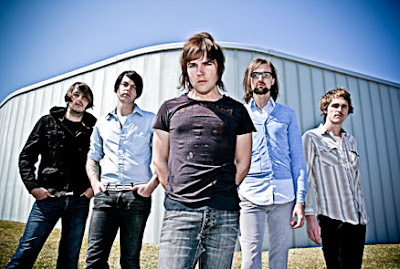 Catch them for $10 (pre-fees) at The Troubadour on May 24. Also out this week is In Ghost Colours, the follow-up to Cut Copy's excellent debut Bright Like Neon Love. Hitting #1 on the Australian ARIA Albums Chart, fans and newbies alike are in for a fifteen-track collection of Tim Goldsworthy-produced electroclash indietronica. It's all here: pop sensibilities, laser-guided production, hooks galore, dance roots, and, of course, neon 3D Wayfarers. On tour in April with Black Kids, as well as a Coachella stop. On Monday, I was lucky enough to have lunch with SSM faves The Republic Tigers, who were in the Los Angeles area filming a video for their excellent track "Buildings and Mountains" (available for download from their MySpace page). 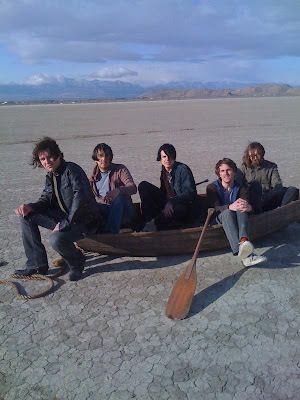 The video shoot took place at El Mirage Dry Lake (the same location for Shania Twain's "That Don't Impress Me Much" video) and was directed by Brian Savelson (who did the videos for Band of Horses' "Is There A Ghost" and "The Funeral"). As you can see from photos by Jill Kaplan, the video involves a boat in the desert. Apparently the band endured several sandstorms during the course of the shoot. Not sure when we'll get to see the finished project, but hopefully the quality of the video will match that of the track. 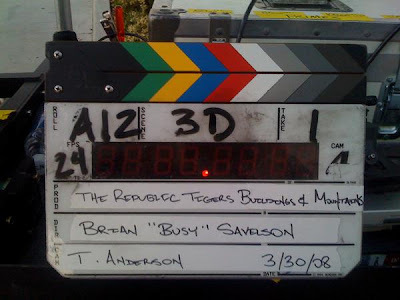 In other news, The Republic Tigers may be joining The National for a performance at the Tribeca Film Festival. Details on this show are sketchy, but the date will likely be around May 4, the day after a show by The National in Pennsylvania and The show will be on May 2, 2008 at Webster Hall, a few days before The Republic Tigers' previously-reported appearance on Letterman, at the end of their upcoming April tour of the east coast. Go Tigers! My friend Eric from The New Amsterdams just informed me that they are on tour and will be stopping by The Troubadour for shows on April 3 and 4 with Big Head Todd & The Monsters. 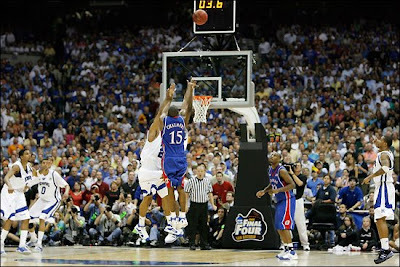 They are playing in Anaheim tonight, and will be hitting Europa in May. Do try and catch them!